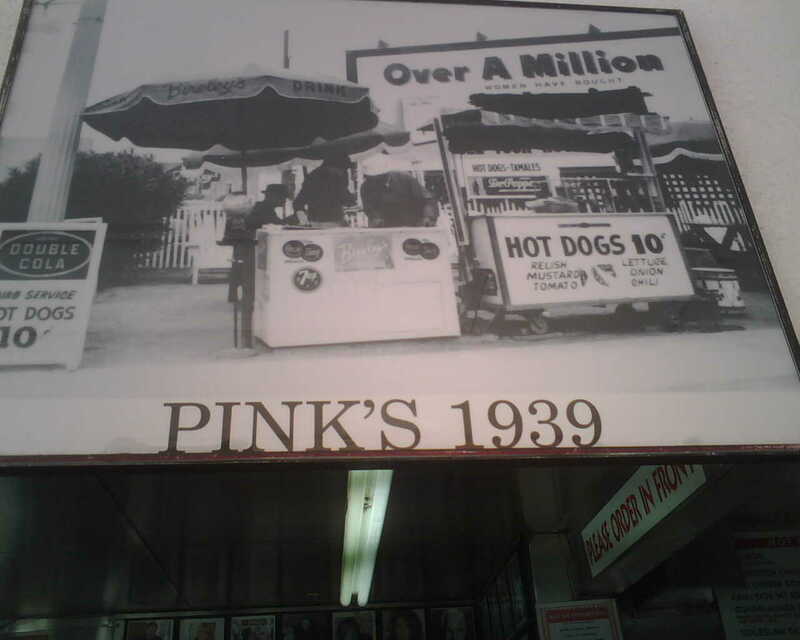 Yesterday went to Pink’s, a famous hot dog stop on Sunset. 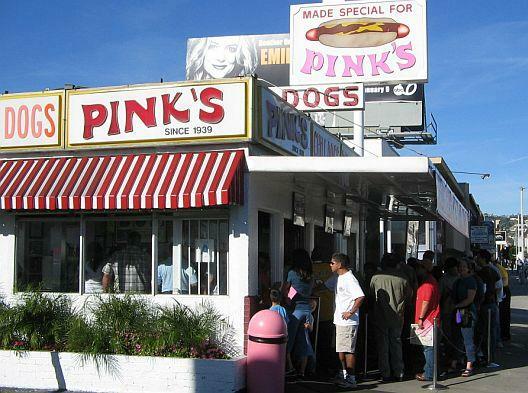 It’s not unusual for the lines to wrap around the block and for the waits to be over an hour. Fortunately it didn’t take all that long to get through it yesterday. The one on the bottom of this photo is mine. 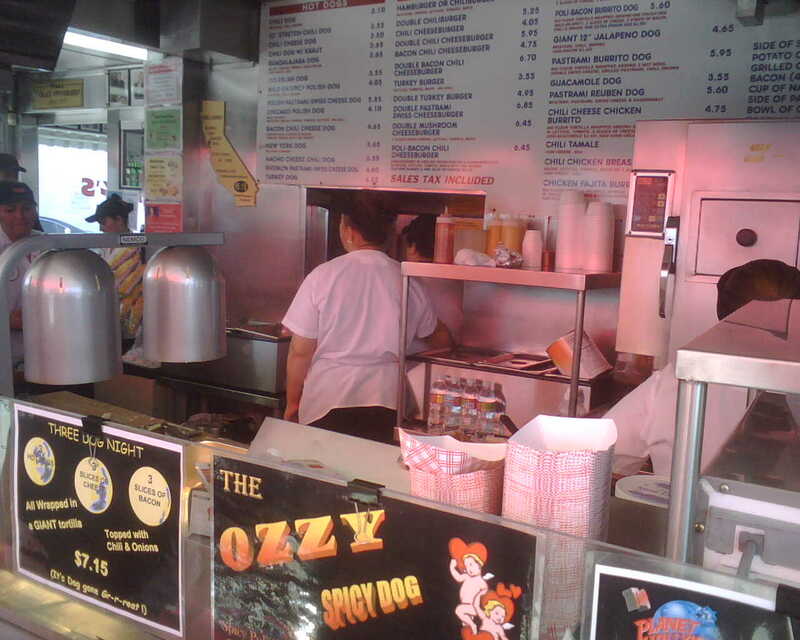 I had the New York Dog, which is a standard hot dog with spicy sauce on it. Delicious! 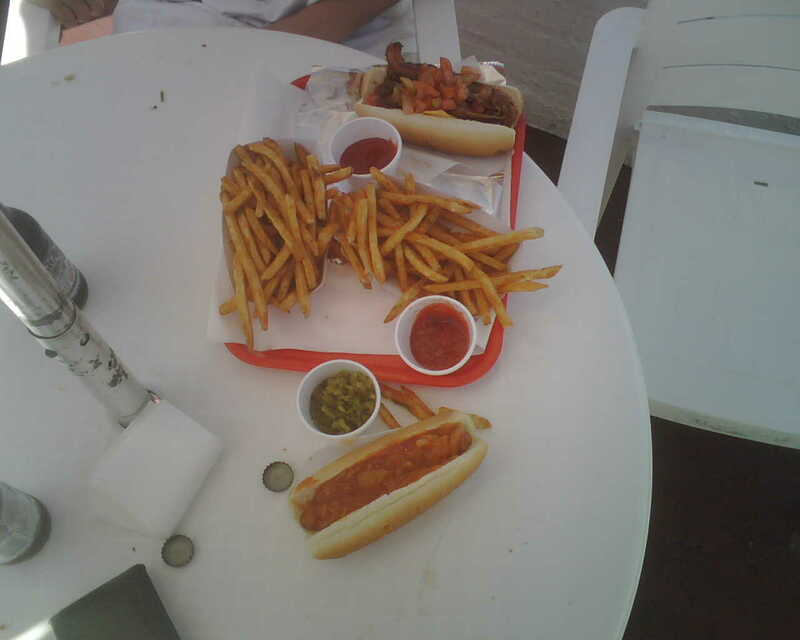 And some delicious fries.